In the current business environment organizations have no choice but to address risk issues and integrate risk management practices into their systems and operations. Risk management must be factored into routine decision making and performance. Rob Quail is Senior Manager Enterprise Risk Management at Hydro One. He will be a speaker at the marcus evans Enterprise Risk Management Canada taking place in Toronto on August 30-31. Quail explains that ERM’s role within an organization is to understand and deal with uncertainty. “The role of ERM is to equip an organization to benefit from uncertainty and mitigate loss associated with uncertainty and be prepared for what can happen unexpectedly to a business. Ultimately REM must be owned and executed by the line decision makers in a business and not a functional group. It is not all that distinct from the other core management functions related to operating a company. According to Standard & Poor’s, the international ratings agency, ERM is now more important but is still no panacea. Quail says that ERM could never solely be relied on as a complete cure-all. “I can’t imagine that anyone would agree that ERM is an answer to all problems. We are limited in our ability to foresee and model risk. ERM does deal with uncertainty and even uncertainty about uncertainty. We don’t always fully understand how confident we should be in our assessments of risk and sometimes we’re surprised by that. A lot more needs to be done and ERM is not the be all and end all of predictable, stable financial results. There is a lot more that needs to happen there. 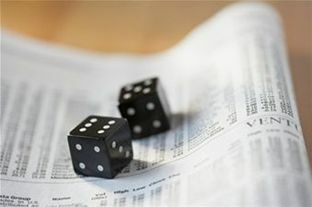 ERM is just concerned with the modelling, acceptance or mitigation of business risk exposure,” he said. The marcus evans Enterprise Risk Management Canada will take place in Toronto on August 30-31.